The Hyperspectral Infrared Imager or HyspIRI mission will study the world’s ecosystems and provide critical information on natural disasters such as volcanoes, wildfires and drought. HyspIRI will be able to identify the type of vegetation that is present and whether the vegetation is healthy. The mission will provide a benchmark on the state of the worlds ecosystems against which future changes can be assessed. The mission will also assess the pre-eruptive behavior of volcanoes and the likelihood of future eruptions as well as the carbon and other gases released from wildfires. 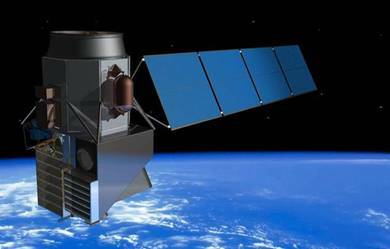 The HyspIRI mission includes two instruments mounted on a satellite in Low Earth Orbit. There is an imaging spectrometer measuring from the visible to short wave infrared (VSWIR: 380 nm - 2500 nm) in 10 nm contiguous bands and a multispectral imager measuring from 3 to 12 um in the mid and thermal infrared (TIR). The VSWIR and TIR instruments both have a spatial resolution of 60 m at nadir. The VSWIR will have a revisit of of 19 days and the TIR will have a revisit of 5 days. HyspIRI also includes an Intelligent Payload Module (IPM) which will enable direct broadcast of a subset of the data. The data from HyspIRI will be used for a wide variety of studies primarily in the Carbon Cycle and Ecosystem and Earth Surface and Interior focus areas. The mission was recommended in the 2007 National Research Council Decadal Survey requested by NASA, NOAA, and USGS.The mission is currently at the study stage and this website is being provided as a focal point for information on the mission and to keep the community informed on the mission activities.